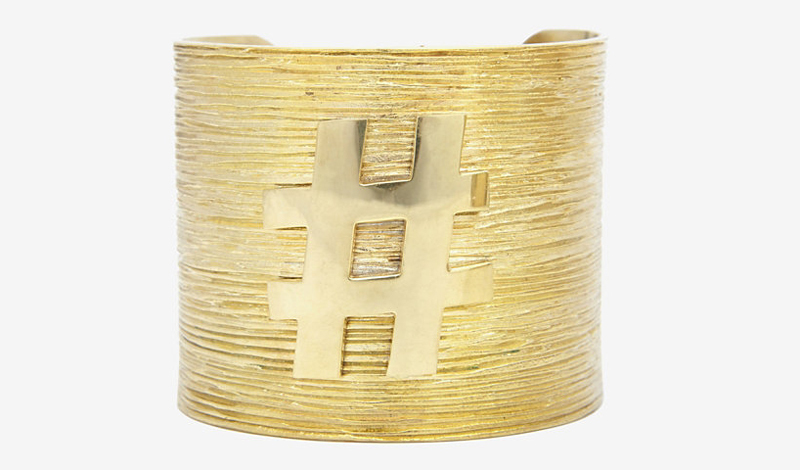 WHY: If wearing your heart on your sleeve is a touch too much, consider wearing your hashtag on your cuff. This bold gold number from Kelly Wearstler is a not-so-subtle way of letting those around you know that your a digital mastermind. And while this designer is on the brink of debuting her fine jewelry collection, stock up on her costume baubles in the meantime. They’ll fill any void in your jewelry box.